For the love of minerals. 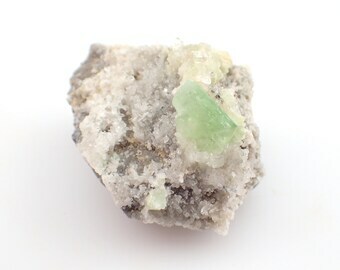 Providing a wide variety of minerals, crystals, and jewelry supplies worldwide. If you are in need of faster shipping or any shipping upgrades, please let us know before ordering. Thanks so much! Very well packaged and prompt shipping! Great customer service! -Buyers are responsible for return shipping. -Buyers are responsible for contacting us prior to returning any items. If requested, you must provide a photo of the item/s being returned before shipping to prove they are free of damage, packing the item/s in the same manner they were sent (contact for specific instructions) and must send the tracking number to us immediately after it is shipped. Only after the item/s are returned damage free, the refund will be issued. A refund will not be issued for any returned item that appears different than the photos. -A restocking fee may be charged to canceled and returned orders. A minimum 10% restocking fee will be charged to one of a kind, high demand, or sold out items. -No partial returns on parcels, no partial refunds will be offered. If multiple items of the same listing are ordered they all must be returned for a refund to be issued, buyers are not permitted to pick certain items out of "multi-quantity" listings and return others unless agreed upon before purchasing. 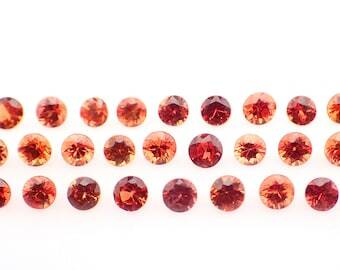 Example: if 4 cabochons are purchased, 4 must returned. If a parcel is returned to us underweight, a refund will not be issued. 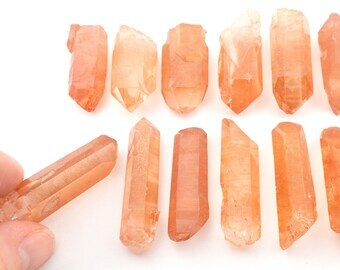 In the situation where various grades of the same mineral species or item are purchased, the buyer must return the entirety of both items/parcels. We accept PayPal, and various payment methods through Etsy Checkout. One coupon code may be used per order. -USPS first class shipping is used for all shipments unless otherwise discussed. It is your responsibility to contact us if faster shipping, signature confirmation, insurance or any upgrades are needed. We are not responsible for lost or stolen packages. -If orders are returned to us because we were not given a proper address or if the shipping company claims it was not deliverable for any reason, an additional shipping fee will be charged to return the package to you, if it has been returned to us. We are not responsible for lost or stolen packages. -In some cases, when further communication is needed, shipping may be delayed until communication has been completed. -Unfortunately, we cannot always guarantee requests of address change due to the number of order we process. -All orders over $400 are required to upgrade shipping to Priority Express / EMS, which is a minimum fee of $50. This option is available at checkout. -It is the buyers responsibility to ensure that the importing and exporting requirements of your country have been met, failure to do so may result in seizure of your shipment. You are responsible for any customs tax, fees, or charges that might occur, you can contact your countries customs department prior to ordering to find out what these fees will be. If the buyer refuses the package for any reason, a refund will not be issued. We do not have any contact with foreign customs agencies. If your order is held in customs then returned to us for any reason, and you would like a refund instead of paying a reshipment fee, there will be a restocking fee charged. -We cannot and will not change the price of an order on customs information, or mark as gift. This is not legal in our country. 3. EMS - appx. 4-8 days, includes full tracking information, insurance (depends on your countries import restrictions), and pricing starts at $50. -The main photo does not directly reflect the actual size of the piece/s. We expect all buyers to view all photos and read full listing descriptions to get a proper idea of the piece/s your purchasing. Weights and sizes are very close approximations, sizes may vary slightly due to the direction one may try and measure. Generally, we measure lengthwise. -We try to showcase damage in photos the best we can but if you are directly concerned about damages or flaws, please contact us prior to purchasing. -Please note, colors may vary slightly from monitor to monitor depending on your settings. -Some specimens may have naturally sharp or fragile edges, we recommend handling each piece with care and using caution around children. We cannot be held responsible for any injury’s that may result from a mineral specimen. -Please use caution and care when opening your order. Some items are small or fragile so we recommend unpacking on a flat, clean surface or somewhere where you do not need to worry about your new pieces being damaged or lost. Please be sure you have checked all packing material before disposing of it. We reserve the right to reship or refund in the rare event of claims of missing items. -Please educate yourself properly before purchasing. Naturally, some mineral specimens can be fragile or potentially toxic, handle all specimens with care. If you are considering a stone to set in jewelry, be sure to research things like it's chemical composition and hardness. Please reach out with any questions you may have. -The use of our photos without credit or permission is not permitted. Using our photos to resell minerals is not permitted. -We do not offer phone support, we apologize for any inconvenience. -As a buyer, you are fully responsible for thoroughly reading and understanding our listing descriptions and shop policies. By ordering from our shop you are agreeing to comply with all of our policies.